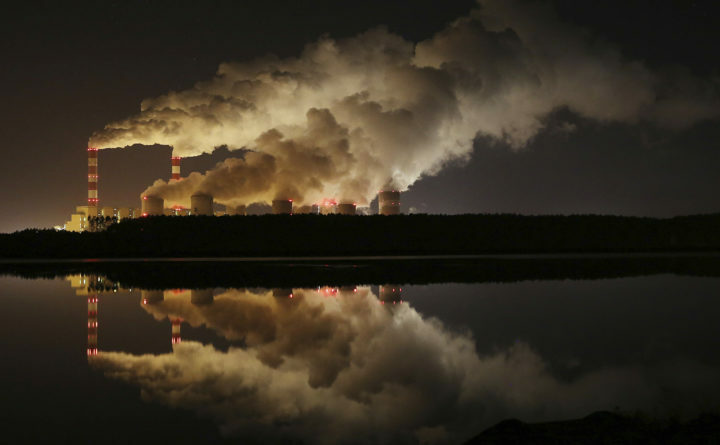 Plumes of smoke rise from Europe's largest lignite power plant in Belchatow, central Poland, Nov. 28, 2018. After several years of little growth, global emissions of heat-trapping carbon dioxide surged in 2018 with the largest jump in seven years, discouraged scientists announced Wednesday. “We are in trouble. We are in deep trouble with climate change,” United Nations Secretary General Antonio Guterres said this week at the opening of the 24th annual U.N. climate conference, where countries will wrestle with the ambitious goals they need to meet to sharply reduce carbon emissions in coming years. Scientists have said that annual carbon dioxide emissions need to plunge almost by half by the year 2030 if the world wants to hit the most stringent — and safest — climate change target. That would be either keeping the Earth’s warming below 1.5 degrees Celsius — when it is already at 1 degrees — or only briefly “overshooting” that temperature. Washington Post writer Lyric Li contributed to this report.